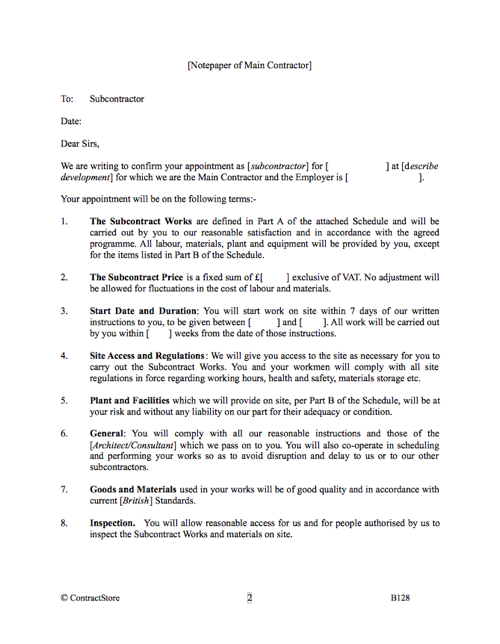 Who can use this Subcontractor Contract Template? Any contractor who wants to appoint a subcontractor or specialist trade for work on a construction or engineering project. It is a user-friendly, simple agreement in the form of a letter. All the main essentials of a construction contract are present in the 22 paragraphs. A schedule will be attached detailing the scope of works, subcontract price and payment terms. What is a Subcontract for? What are the main issues when appointing a subcontractor in the building or engineering industry? What detailed terms does this Subcontract Agreement contain? 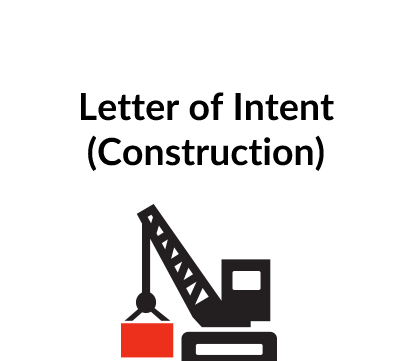 An agreement can be in the form of a letter which in this case is addressed to the subcontractor by the main contractor. 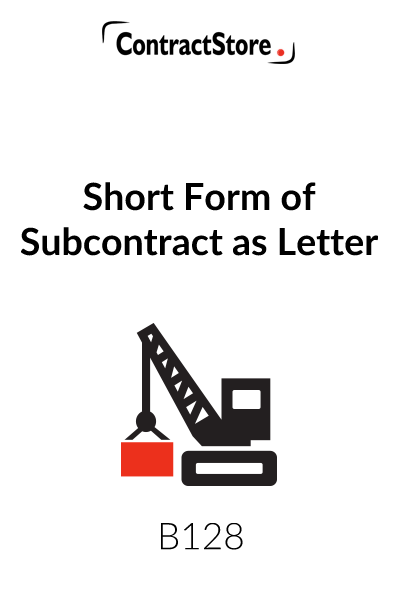 When the letter is accepted and signed by the subcontractor, it is an effective binding agreement just as a more formal agreement between Party A and Party B would be. Yes. You can buy it once and use it for each of the subcontractors you appoint. All ContractStore’s templates are in MS Word. As well as filling in the details – names and addresses of the parties, scope of work etc., – you can print it on your company letterhead as well as alter or add to it if you need some special terms. The text is reasonably self-explanatory. In the opening paragraph there should be inserted a brief description of the role of the Subcontractor, description of the development and the name of the employer/developer. Subcontract Works. The detailed description of the work to be done by the subcontractor is set out in the Schedule, Part A. This is likely either to include, or, more likely, have as an attachment, a detailed specification (and drawings). The clause briefly states the basic requirement that the Subcontractor performs satisfactorily and on time. Price. The Contract price is shown as a fixed lump sum. If the elements making up that price are to be included, these can be referred to. To avoid any doubt there is a specific statement that fluctuations in labour or materials costs do not alter the price. Duration. Since the start date of the Subcontract work may be dependent on progress of the main contract, the wording of para 3 provides a date range within which the work is expected to start. This should give the Subcontractor the ability to plan ahead while providing some flexibility for the Main Contractor. General obligations. The next five paragraphs need little comment: as will be seen, when the Main Contractor is providing facilities and plant, these will be specified in a Schedule (or cross-refer to the Specification). Completion & Maintenance. As is normal, the Main Contractor will certify the completion date of the Subcontract works and the Subcontractor has an obligation to remedy defects during the Maintenance Period: this is the period specified under the Main Contract – usually 12 months. In practice, if the Subcontract work is completed before the Main Contract completion date, the Subcontractor’s obligation would be for longer than 12 months. Payment. Clearly, the precise payment terms will vary from contract to contract. This clause assumes monthly valuations with payment after 35 days. It is not lawful in the UK for payment under a construction contract to be on a ‘pay when paid’ basis – i.e. the subcontractor gets paid when the main contractor is paid by his client. There is legislation that sets out a procedure for a final date for each payment and for notice to be given if less than the amount claimed is going to be paid and this procedure is reflected in the wording of our payment clause. . There is an optional retention clause. Retention here is shown at 3% of the value of each certificate. 50% is to be released on practical completion and the balance on issue of the final certificate under the Main Contract. 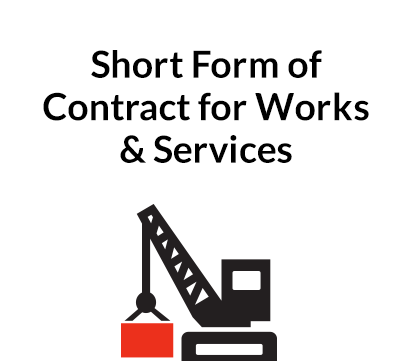 It is common practice for construction contracts in England to have 3% or 5% of the value of work retained as the contract progresses, but the system is subject to abuse and it is opposed by a number of trade bodies. Liquidated damages are often inappropriate in a Subcontract: the indemnity clause 16, under which the Subcontractor indemnifies the Main Contractor for losses and liability attributable to the Subcontractor is probably more appropriate, in which case Para 11 can be deleted. Set-off is a common law right, but one which can be subject to abuse. Certainly unfairness can arise where money owing under another contract is set off against money due to the Subcontractor under this contract. The wording here is designed to avoid this. It also requires notice to be given before any set-off is applied as this is now, in effect, a legal requirement for construction contracts in England. Variations: Para 13 briefly deals with this, the Main Contractor being responsible for assessing a fair price for the variation. If pre-estimating is required, or some more elaborate method, the wording would need some revision. Extensions of Time. Again, a short form of wording in para 14, with emphasis on the need for the Subcontractor to give notice promptly and to justify his claim for time extension: delays in submitting claims are a major reason for contract disputes running on long after the Contract is over. The wording here, and in the next paragraph dealing with Claims is designed to try to avoid this. If an extension of time under the subcontract would necessitate an extension of time of the Main Contract completion date, it may not be possible for the Main Contractor to obtain this, and this possibility is catered for in the final sentence of paragraph 14. Similarly if a claim by the subcontractor is passed up to the Employer but only awarded in part, the main contractor will want to share that risk with the subcontractor. Indemnity. Clearly the Main Contractor will want to be indemnified again breaches of Contract by his Subcontractor and para 16 covers this. Insurance of the Contract works will usually be the responsibility of the Main Contractor, as is stated in para 17. 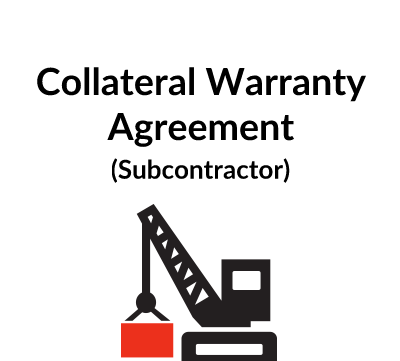 The Subcontractor may, however, be required to carry his own public/third party liability insurance up to an amount specified. Disputes are to be referred to an adjudicator – the hope being that adjudication will result in an early decision. English law contains provisions which give any party to a construction contract the right to refer a dispute arising under the contract to adjudication. A party can give notice at any time of his intention to refer a dispute to adjudication and the timetable must be designed to secure the adjudicator’s appointment and the referral of the dispute to him within 7 days of the notice, with the adjudicator’s decision within 28 days from referral. This 28 day period may be extended by 14 days with the consent of the referring party or for any other period by agreement between the parties. The adjudicator must act impartially and be able to take the initiative in ascertaining the facts and the law. The adjudicator’s decision will be binding (and must be implemented) until a dispute is finally determined by legal proceedings, arbitration or agreement. It is not possible to contract out of these provisions and if the Contract is silent on adjudication, there is a statutory scheme – the Scheme for Construction Contracts, which will apply. In our dispute clause we have said the adjudicator will be nominated by the same body that appoints the adjudicator under the main contract and if there is a dispute on the same issues at main contract and subcontract level, the main contractor can insist on having the same adjudicator to hear both disputes. Termination follows a fairly standard procedure in para 20. It is particularly important for the Main Contractor to be able to terminate if the Employer terminates his Contract, and this is covered. Main Contract and other Documents: Since the Subcontract incorporates the Main Contract terms by reference, it is important for the Subcontractor to be given a copy: but he does not need to be shown, nor is he entitled to see, any prices in the Main Contract. Also any documents which are included in the Subcontract need to be referred to here. If, for example, there is a lot of correspondence to be included this needs to be mentioned – probably by way of a cross-reference to a Schedule which lists out the specific correspondence. Note: There is legislation that applies to contracts for “construction operations” within the UK. Broadly speaking, this covers all contracts involving building operations, whether new buildings or maintenance or repairs of old buildings, within the UK. The main exception is construction work for residential occupiers.